You broke my heart but still, I took the pain. 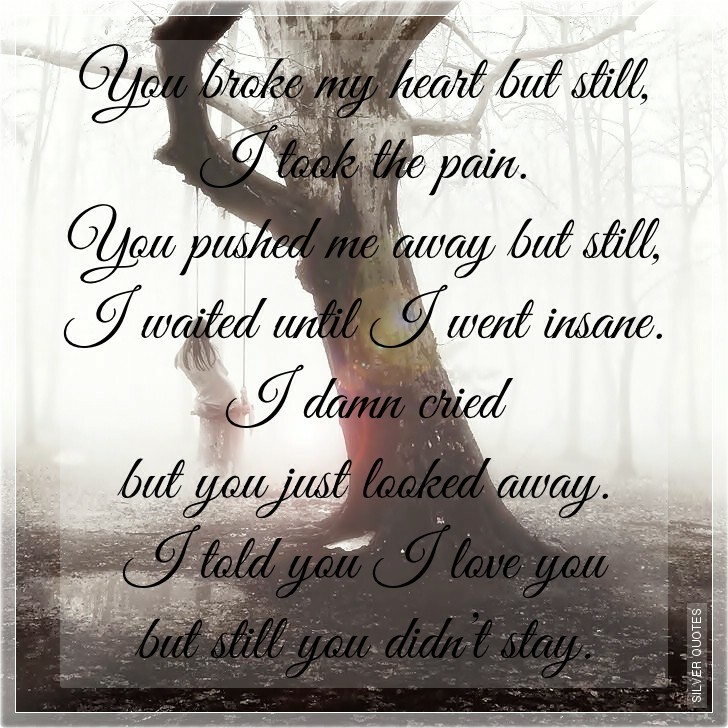 You pushed me away but still, I waited until I went insane. I damn cried but you just looked away. I told you I love you but still you didn’t stay.